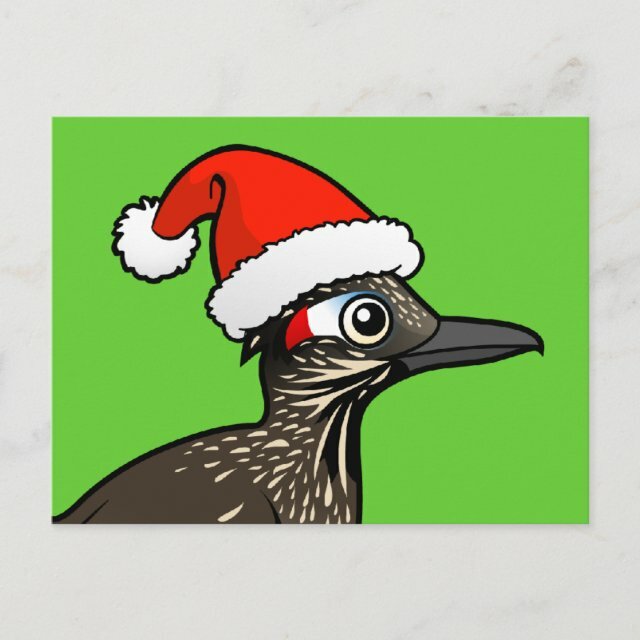 Our cute Birdorable Roadrunner is all ready for the Christmas season! Roadrunner wears a red and white Santa hat. Celebrate the most wonderful time of the year in Birdorable style with this totally cute bird design! Great for birders and bird lovers. You can customize this gift! Add text, change the color, move the design around, pick a different style - make it your own! Ditch the envelope, not the festivity. Spread holiday cheer this season with postcards that help streamline the process. Dimensions: 4.25" x 5.6"; qualified USPS postcard size. High quality, full-color, full-bleed printing on both sides. Available in a semi-gloss or matte finish.